Stephen A. Appelbaum: Professor, University of Missouri – Kansas City School of Medicine; formerly Director of Psychology, c.F. Menninger Memorial Hospital. Stefan de Schill: Director of Research, American Mental Health Foundation (since 1948); Vice-President, International Institute for Mental Health Research, Zurich-Geneva. Jerome D. Frank: Professor Emeritus of Psychiatry, The Johns Hopkins University School of Medicine, Baltimore. Merton M. Gill: Professor of Psychiatry, University of Illinois, Chicago; Supervising Analyst, Chicago Institute of Psychoanalysis. Andre E. Haynal: Chairman, Department of Psychiatry, University of Geneva; formerly President, Swiss psychoanalytic Society; formerly Vice-President, European Psycho-Analytical Federation. Horst Kachele: Professor of Psychotherapy, University of Ulm. Otto F. Kernberg: Associate Chairman and Medical Director, New York Hospital, Westchester Division, Cornell Medical Center; Professor of Psychiatry, Cornell University Medical College; Training and Supervising Analyst, Columbia University Center for Psychiatric Training and Research. Denise LaHullier: Co-ordinator, Grouptherapy Sections, American Mental Health Foundation and International Institute for Mental Health Research, ZUrich-Geneva. 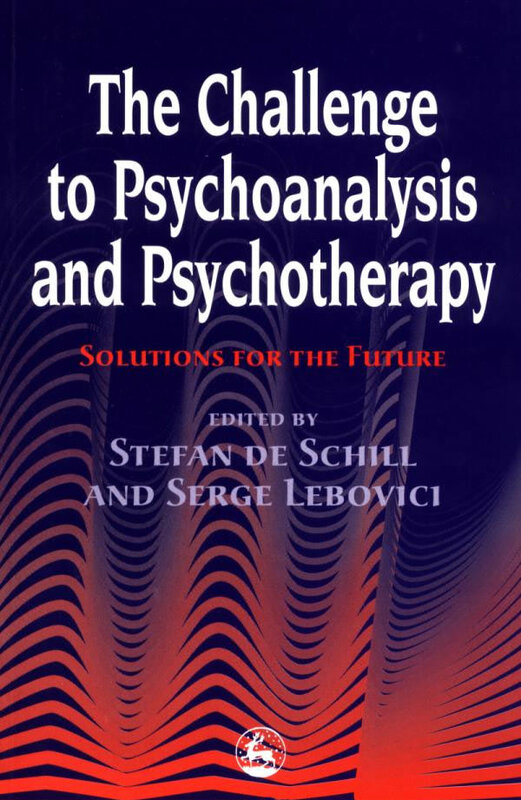 Serge Lebovici: Professor Emeritus of Child and Adolescent Psychiatry, University of Paris North; Honorary Vice-President, International Psychoanalytic Association; formerly Director, Paris Psychoanalytic Institute. Marguerite F. Levy: Professor, Queen’s College, New York. William W. Meissner, S.J. : Training and Supervising Analyst, Boston Psychoanalytic Society and Institute; formerly Clinical Professor of Psychiatry, Harvard Medical School, Boston. Robert Michels: Chairman, Department of Psychiatry, Cornell University Medical College; Psychiatrist-in-Chief, The New York Hospital; Training and Supervising Analyst, Columbia University, Center for Psychoanalytic Training and Research. Jacques Palaci: Formerly President, National Psychological Association for Psychoanalysis, New York; formerly Vice-President, Theodor Reik Clinic for Mental Health and Research, New York. Malcolm Pines: Consultant Psychotherapist to the Tavistock Clinic, London; formerly President, International Group Psychotherapy Association. Rainer Richter: Professor of Psychotherapy, University of Hamburg. Steven S. Sharfstein: President and Medical Director, Sheppard Pratt, Baltimore. Monroe W. Spero: President, International Institute for the Advancement of Psychiatry; Chairman, Professional Board, American Mental Health Foundation. Milton Theaman: Formerly Executive Director, Psychological Service Center, New York. Robert S. Wallerstein: Chairman, Department of Psychiatry, School of Medicine, University of California, San Francisco; formerly President, American Psychoanalytic Association; formerly President, International Psychoanalytic Association. Ivan Wentworth-Rohr: Professor Emeritus, Psychology, Pace University, New York; formerly Chief, Behavior Therapy – Biofeedback Unit, St. Vincent’s Hospital and Medical Center, New York. Alexander Wolf: Formerly Clinical Professor and Training Psychoanalyst, New York Medical College; formerly Supervising Psychotherapist, Postgraduate Center for Mental Health, New York.